In Revamp, Takeda to Now Focus on Three Therapeutic Areas and Concentrate R&D Activities in Japan and the U.S.
OSAKA, Japan – Takeda Pharmaceuticals has a plan to refocus its research & development on three targeted therapeutic areas—oncology, gastroenterology and the central nervous system (CNS). Vaccines will also continue to play an important role, the company announced. Gastrointestinal drugs have certainly caused the company to see an increase in revenue. 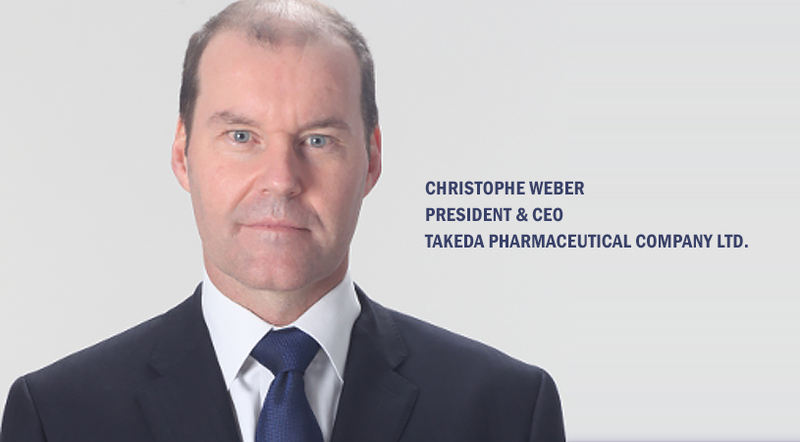 Takeda’s quarterly report shows GI drugs caused revenues to triple compared to reports one year ago, driven primarily by sales of entyvio and takecab, for the treatment of acid-related diseases. CNS treatments, driven by trintellix, also saw a huge spike in revenue during the first quarter, according to company reports. This new pipeline focus will cost Takeda approximately $725 million, with annual savings of about $175 million. Takeda said it intends to re-invest the savings into developing its pipeline over time. At this moment, it is unknown how many positions will be impacted and it is likely the numbers will “fluctuate” as the work progresses, the company said. During a press conference Plump said there will be some job cuts in order to boost efficiency, Bloomberg reported. Some of the lost positions will likely be due to the proposed closure of a facility in Cambridge, England. The company is working with employees as it moves forward toward the possible shut down of that site, Bloomberg said. Part of this refocus is likely to include Takeda’s selling off some of its non-core assets, such as its majority stake in chemicals business Wako Pure Chemical Industries Ltd. Takeda owns about 72 percent of Wako, according to reports. The Japanese company is moving to unload some non-core assets in an effort to streamline operations. The possible sale of its stake in the chemical company follows on such streamlining maneuvers as the sale of its respiratory business to London-based AstraZeneca for $575 million at the end of 2015. Last year, Takeda also moved to consolidate U.S. vaccine operations under one roof in Cambridge, Mass. by shuttering sites in Bozeman, Mont., Deerfield, Ill. and Madison, Wisc.